Osceola Food (Osceola, Iowa) of Hormel Foods Corporation (NYSE: HRL) announced today that it has been honored by the Osceola Chamber Main Street and Clarke County Development Corporation for working with the Industrial Tech Advisory Board on a program to help build a technical outlet for training high school-aged individuals who want to learn a trade. The Osceola Chamber Main Street and Clarke County Development Corporation hosted its annual dinner on Monday, January 15, at Lakeside Casino Event Center. The annual event recognizes local employers and individuals who make an impact on the community and local workforce. This year, the event recognized the efforts of the Industrial Tech Advisory Board, made up of nine local employers and organizations including Hormel Foods, Altec Inc., Simco Drilling Equipment, Inc., Iowa Steel Fabrication, Salford Group, Mueller Products, Miller Products, Inc., and Clarke Electric Cooperative Inc., and the Clarke County Development Corporation. 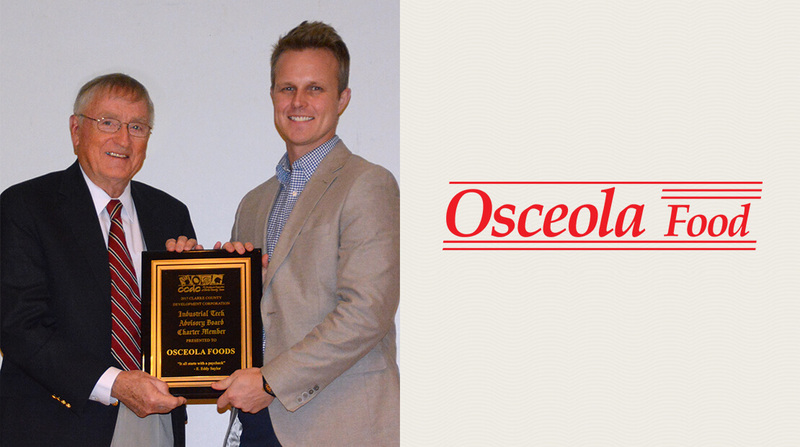 “Our mission is to provide guidance and support in our local school districts and community organizations in an effort to develop and retain a self-sustaining workforce for the future growth of Osceola and Clarke County,” said Dan Zielke, human resources coordinator, Osceola Food. Iowa Governor Kim Reynolds, a native of Osceola, and United States Senator Joni Ernst also attended and spoke at the event. Both highlighted significant strides in the areas of leadership, service and growth of Osceola and Clarke County. 2017 marked the inaugural year for the Clarke Community Schools Career Academy tracks. School administration, instructors and local businesses have set forth a program focused on helping local students build a deeper understanding of how their education is integrated into future career options as well as learning the skills needed for trades available outside traditional secondary education tracks.